This particular crony alliance isn’t even secretive about it. Action Alert! We think of Monsanto and other companies as developers and promoters of GMOs. But thanks to passage of the Federal Technology Transfer Act of 1986, as well as President Reagan’s Executive Order #12591—“Facilitating Access to Science and Technology”—the USDA is also directly in the business of developing, patenting, and promoting biotechnology inventions. The difference is that the USDA slips the patents, developed from government research and paid for by US taxpayers, into the hands of private companies such as Monsanto and Syngenta. You read that right. According to the USDA’s own Agricultural Research Service (ARS), about sixty new patents are issued for USDA inventions each year. These patents are then transferred through licenses to the private sector—mostly to biotech companies. ARS has released more than 400 new crop germplasm lines since 2000, and the USDA spends about $220 million taxpayer dollars on biotechnology research each year. A cursory search through the recent inventions of the USDA reveals nearly two dozen inventions in the “plant genes” and “crop protection” categories. These patents range from the use of RNA interference to control gypsy moth populations, to genetically altered citrus plants that protect the plant from citrus greening and citrus canker. The USDA’s research into plant genes includes isolating genes in peach, plum, almond, and apricot trees that can be manipulated to affect tree shape with “desired branch angles.” Another patent uses double-stranded RNA constructs to inhibit the expression of certain proteins and kill aphids. There are many more such examples. The biotech industry is a young industry. The potential for destroying the ecosystem of the planet is ever-present—not to mention the potential for genetically altering the human species. That the USDA, in concert with Monsanto and others, is rushing into inventing and marketing genetically altered organisms, and bragging about this collaborative effort, tells us all we need to know about this crony alliance. Nineteen members of the EU have already rejected GMO crops in their countries. The Center for Food Safety, a Washington-based nonprofit environmental advocacy group, reports that the overwhelming majority of Americans in all demographics support GMO labeling on all food products. Yet in response, Congress just handed us a fake labeling law that would actually protect Big Food from having to label GMOs at all. The USDA’s involvement in genetic engineering goes beyond developing technologies and licensing them to the biotech industry. In delineating its role in agricultural biotechnology, the agency actually admits that its primary function is to “provide regulatory oversight of organisms derived through genetic engineering.” However, the agency seems to have “reinterpreted” this job out of existence. Once again, as with vaccines, we see a government agency promoting and making money from what it is supposed to regulate. 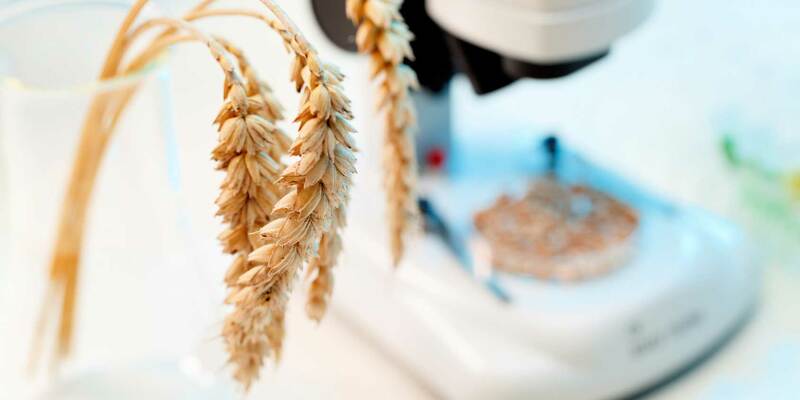 By its own admission, the USDA’s Economic Research Service (ERS) “conducts research on the economic aspects of the use of genetically engineered organisms, including the rate of and reasons for adoption of biotechnology by farmers. ERS also addresses economic issues related to the marketing, labeling, and trading of biotechnology-derived products.” Translated, this means the intended regulator is also the cheerleader and promoter. None of this is surprising when we consider the revolving door between biotech giants like Monsanto and the federal government. For instance, a few years ago, the Obama administration appointed Roger Beachy, director of the Monsanto-owned Danforth Plant Science Center, to head the National Institute of Food and Agriculture, which has the power to grant or reject agricultural research grants. And a Monsanto lobbyist was appointed to be the agriculture trade representative. This revolving door between the private and the public sector is facilitated by what are called cooperative research and development agreements. This degree of cronyism between the biotech industry and the USDA is truly an insult to the American public. It is time for the American public to speak up, because nobody else will. Action Alert! Write to your senators and representative in Congress—and send a copy of your message to the USDA—and tell them to protect consumers, not the profits of the biotech industry! Please send your message immediately.